Deep Voyage Game is one of more than 300 free Games you can download & find at Free Ride Games. Help a beautiful mermaid win the Royal Garden Design Competition in the Underwater Kingdom. 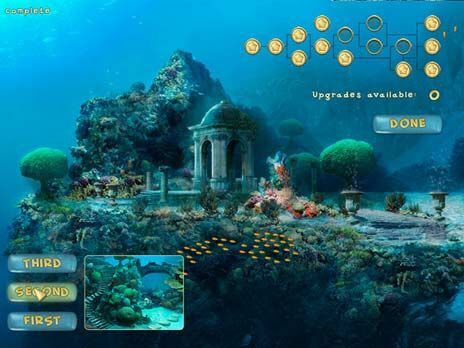 Complete 200 increasingly challenging underwater levels of Match 3 fun, solve puzzles, earn power-ups, and design your perfect sea-garden with your earnings. Download Deep Voyage Game for free. Virtual Villagers: A New Home game is one of more than 300 free games you can download at Free Ride Games. Virtual Villagers: A New Home game is a highly addictive Time Management game, download Virtual Villagers, play it free and enjoy your time.